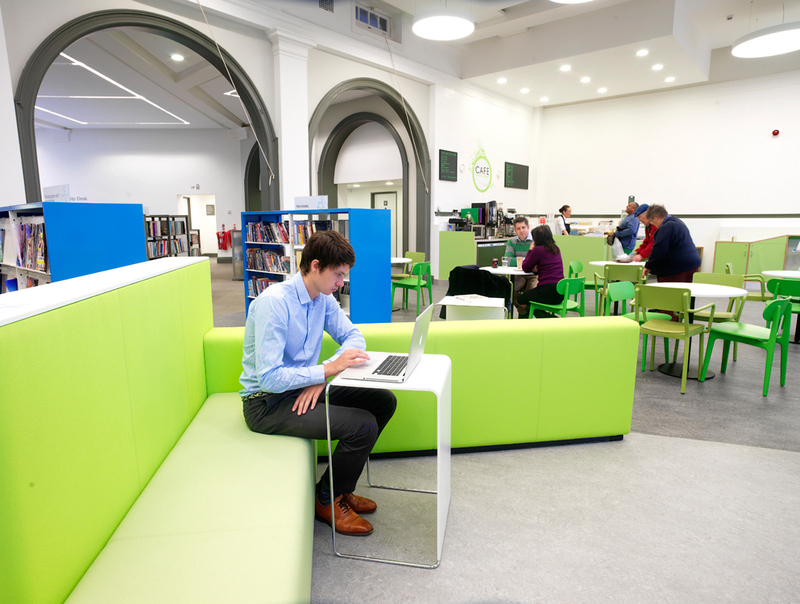 Blackpool Central Library is a fine Edwardian Baroque Library, designed in the Carnegie tradition by Scottish Architects Cullen, Lochhead and Brown in 1909. It has remained as a public library since opening and has undergone relatively few changes. 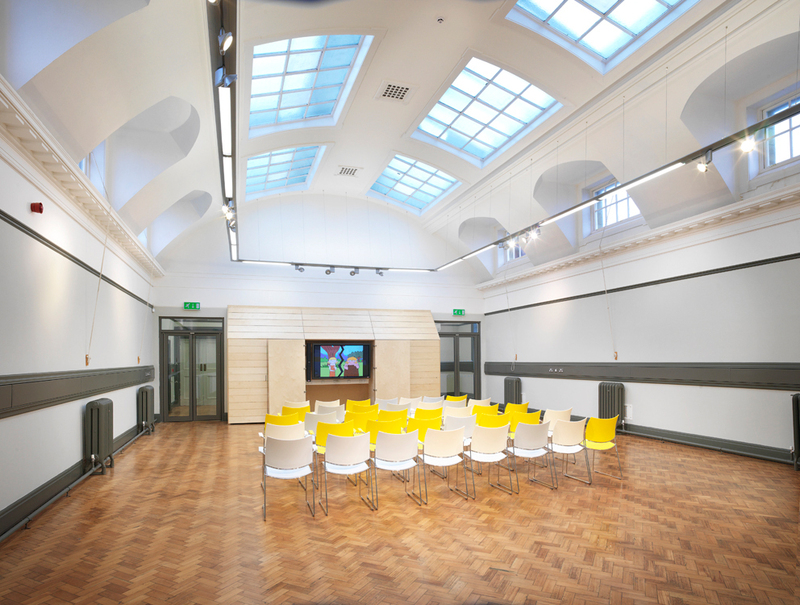 Winning the commission through competitive interview, Malcolm Fryer joined forces with Library Specialists Bisset Adams to carry out a substantial refurbishment of the building, funded by the BIG lottery fund. 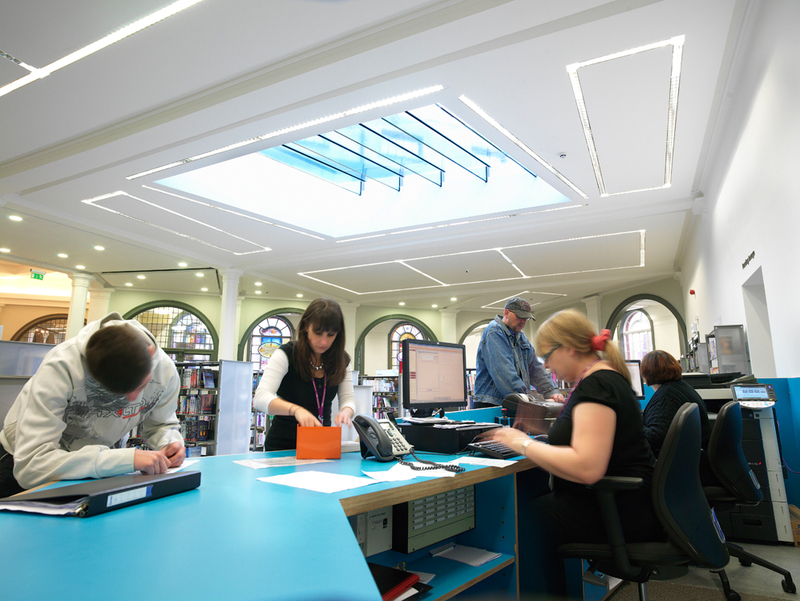 As well as substantial repairs to the fabric, works include a new extension to provide the much needed facilities for an innovative 21st century Library service. New glazed walkways to the internal light well rationalised the circulation system, and the entire building was made accessible for the first time. A new secondary entrance and raised front terrace was created to provide a much needed Cafe facility for the Library. This involved the careful adaptation of existing windows to doors. In redesigning the fire egress system, it became possible to strip back the entrance hall of its partitions to create a light, accessible and welcoming space. 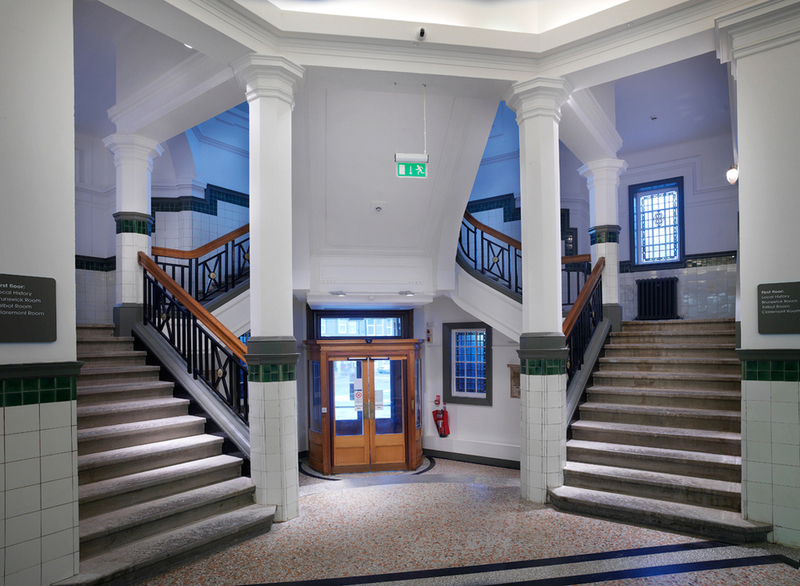 The project was fast tracked (18 months from appointment to completion) through contractor partnering and a close working relationship with English Heritage and the local conservation officers. 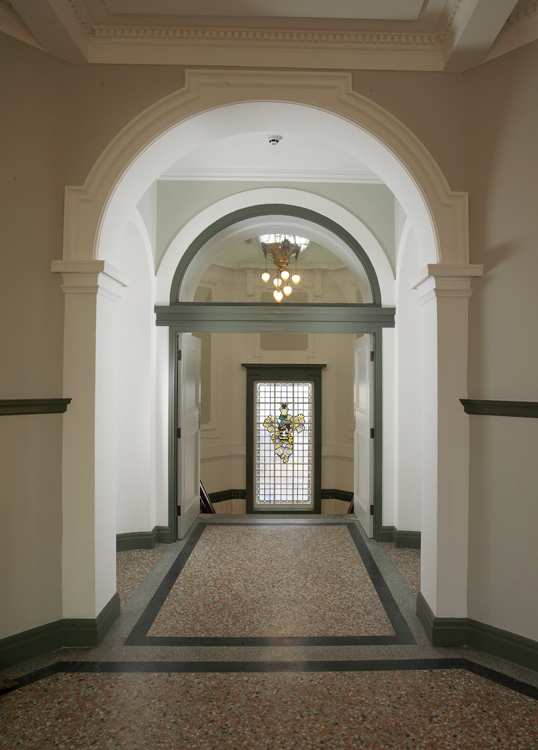 Malcolm Fryer was responsible for the preparation of the Heritage Statement to support the planning and Listed Building Applications, as well as for the documentation of the major interventions into the historic fabric. This included extensive repairs to the sandstone exterior, the stained glass windows and the original salt glazed internal tilework. 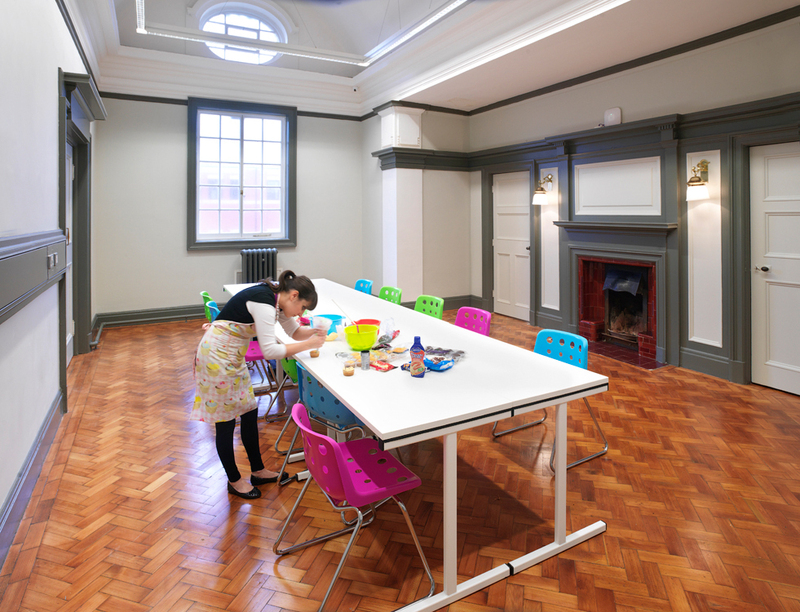 The project won Civic Trust and Mixology Interior Design awards. Project Profile available for print and download here.